Light Curtain,WECO Elevator Light Curtains,Molik Elevator Door Detector. O ur c ompany Ningbo Pybom Elevator CO.,Ltd locates in Ningbo Economic & Technological Development Zone covering an area of over 10,000 square meters. It is a professional manufacturer of light curtains with WECO and MOLIK brand logo. It is specializing in developing and designing door detectors for elevator and lift. 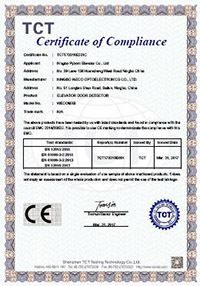 From 2009 year, we provide many new type light curtains for different elevator car door. 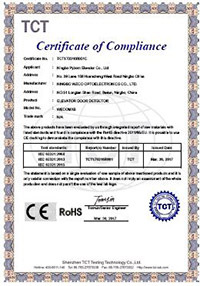 Right now, we can supply many tpyes of EN 81-20 light curtain for the New European Standard, it is including the light curtains of 36 and 40 pairs diodes, the max beams of them are 174 and 194, and the protect height can be 1655mm and 1855mm. Our company owns over 5000 sq.m. antistatic workshop, SMT padding production line, all hot air reflux welding machine, ultrasonic cleaning machine, Japan TESCON online tester, 100m3 high-temperature aging room, etc.